Thursday's P.M. Hot Clicks feature Bar Refaeli as your Throwback Lovely Lady of the Day and a bear eating a kayak. How does Nets owner Mikhail Prokhorov stay in shape at age 50? By doing some really bizarre basketball-dribbling workouts. 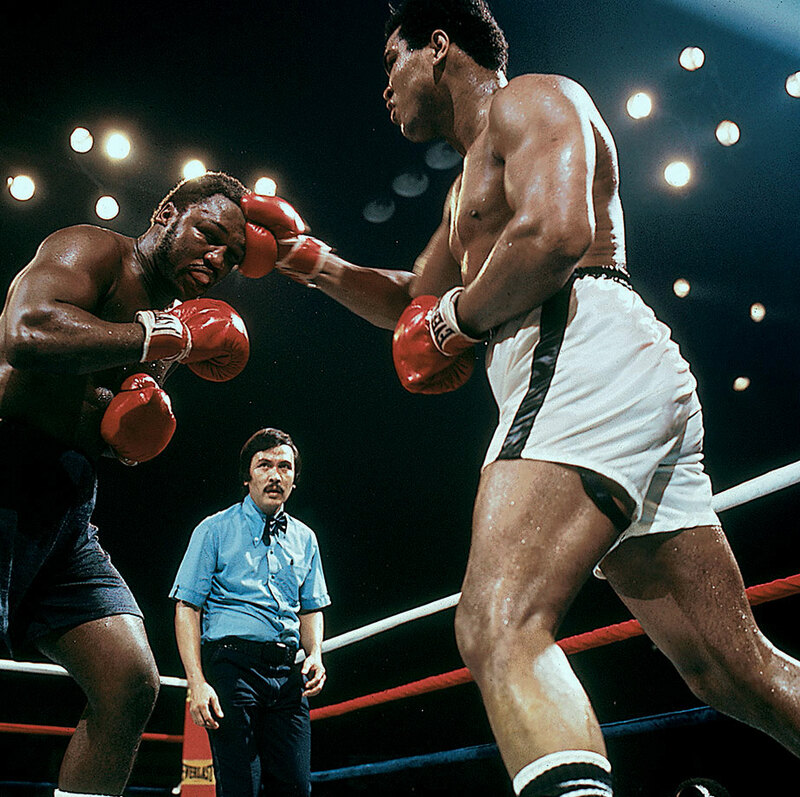 Today is the 40th anniversary of Muhammad Ali’s showdown in the Philippines against Joe Frazier. 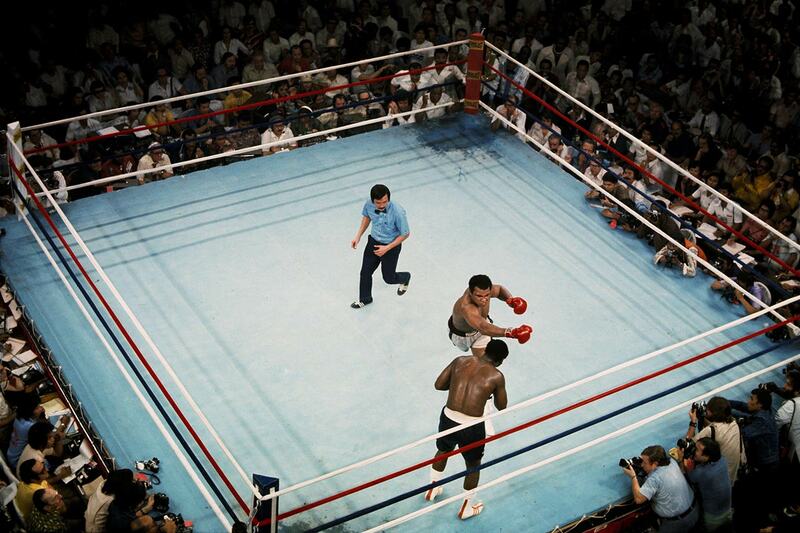 Here’s a gallery from the famous fight shot by SI’s Neil Leifer. 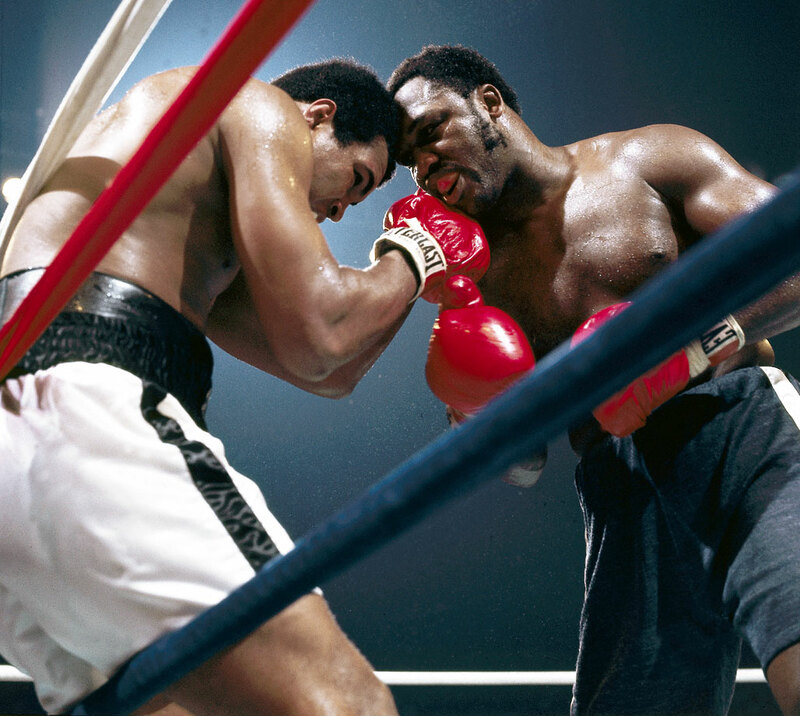 Ali-Frazier III: "Thrilla in Manila"
The historic rubber match between Muhammad Ali and Joe Frazier took place in Quezon City on October 1, 1975. President Ferdinand Marcos had campaigned for the fight with the hopes of diverting attention from the ongoing social turmoil in the Philippines. 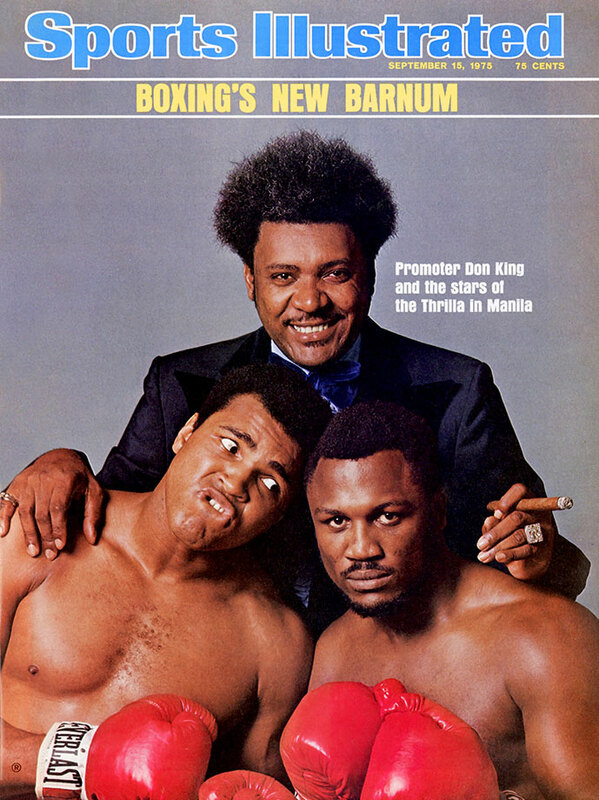 After briefly considering Cairo's Nasser Stadium as a venue, promoter Don King agreed to hold the fight at the 16,500-seat Araneta Coliseum. This cover shot for the September 15 issue of SI was taken on August 25. Ali taunted Frazier mercilessly throughout the build-up to the fight. 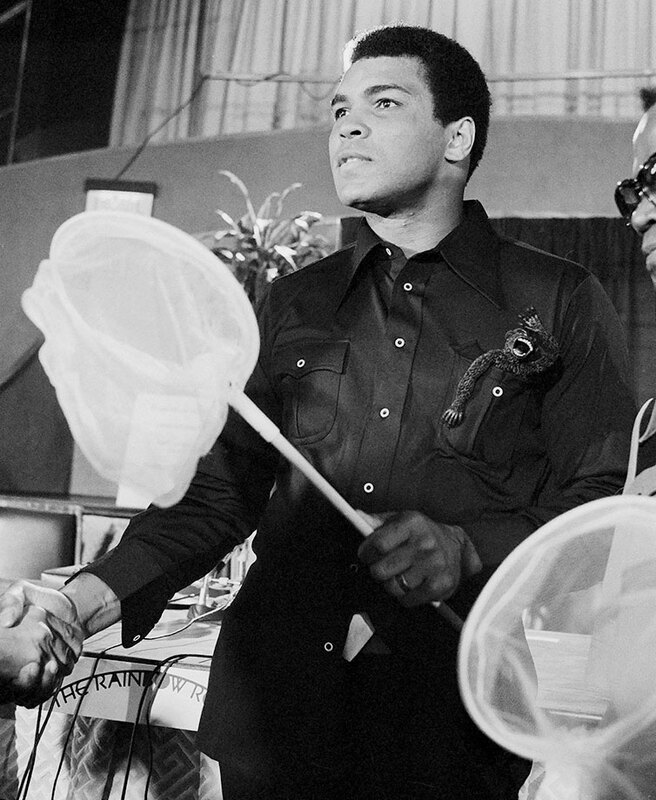 At a July 17 press conference, the champ paraded around with a butterfly net (which Frazier allegedly would need to catch him) and a toy gorilla. "It's gonna be a thrilla, and a chilla, and a killa, when I get the Gorilla in Manila," Ali riffed. The fight began at 10:45 a.m. local time to accommodate international TV audiences. 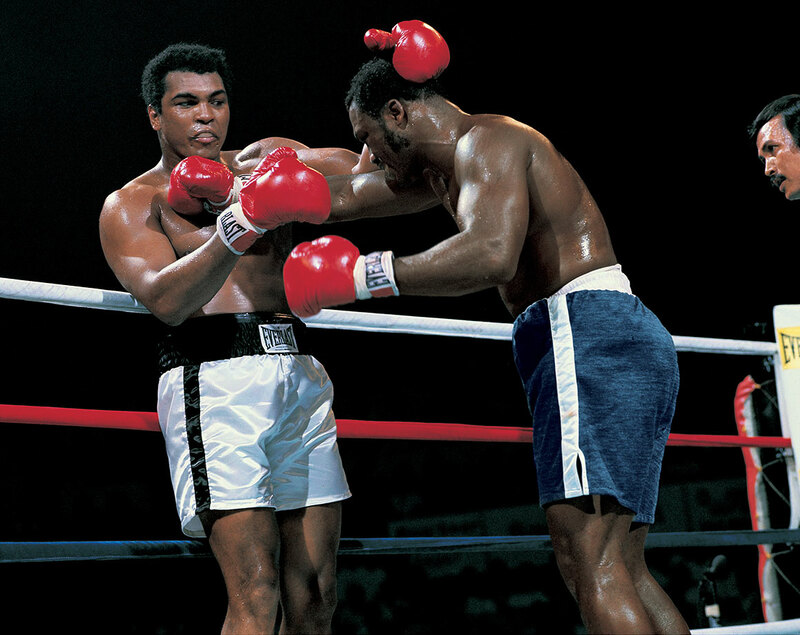 Ali outboxed and outscored the challenger early and staked a lead on all three judges' cards, but Frazier took control in the middle rounds as the suffocating humidity took hold of the champ. Ali had hoped to make it a short fight and grew frustrated when it became obvious Frazier wasn't going to comply. "You dumb chump, you!" chirped Ali midway through the fourth. 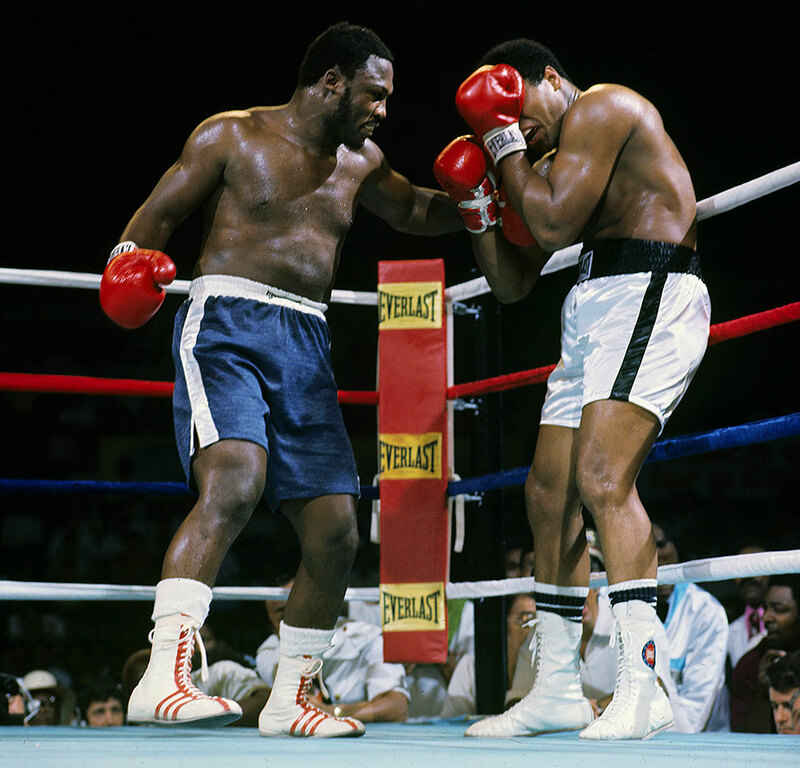 The tide slowly turned once Frazier, a notorious slow starter, began to land punches with more accuracy and frequency. 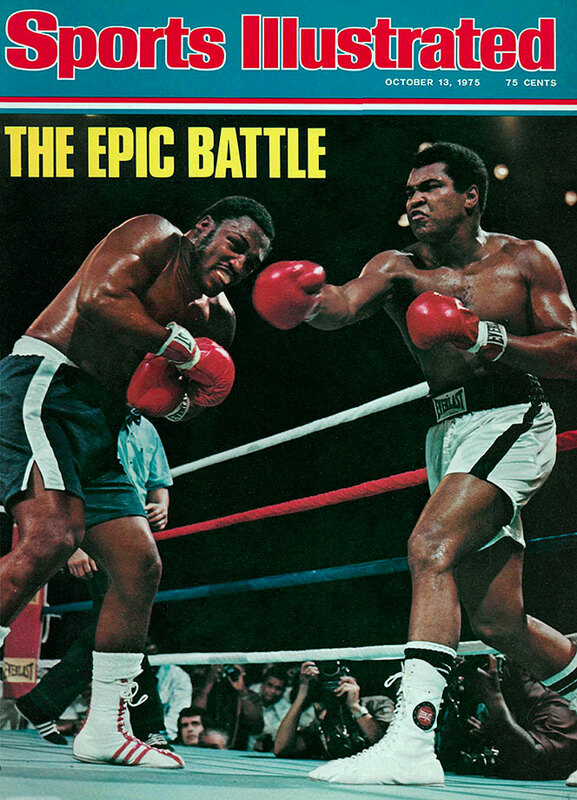 Wrote Mark Kram for SI : "[Frazier's] old calling card — that sudden evil, his left hook — was working the head of Ali. Two hooks ripped with slaughterhouse finality at Ali's jaw, causing Imelda Marcos to look down at her feet, and the president to wince as if a knife had been stuck in his back. Ali's legs seemed to search for the floor. He was in serious trouble, and he knew that he was in no-man's-land." As Frazier took control of the fight, Ali reached deep into his bag of tricks. At one point, he even tried the rope-a-dope gambit that worked so effectively against George Foreman. But Frazier countered by pounding Ali's arms so deflecting his blows hurt nearly as much as absorbing them. By the end of the 10th, the pace of the fight slowed as both men fought serious fatigue. "Both guys ran out of gas," Ali trainer Angelo Dundee later remarked, "only my guy had an extra tank." As Frazier's left eye swelled, he could no longer see Ali's right hand — and the champ took full advantage. He staggered Frazier in the 12th and 13th rounds, at one point knocking the Philly slugger's mouthpiece into the crowd. With Frazier's left eye swollen shut, trainer Eddie Futch stopped the fight between the 14th and 15th rounds — against his fighter's adament objections. "I want him boss," pleaded Frazier, to which Futch responded, "It's all over. No one will forget what you did here today." 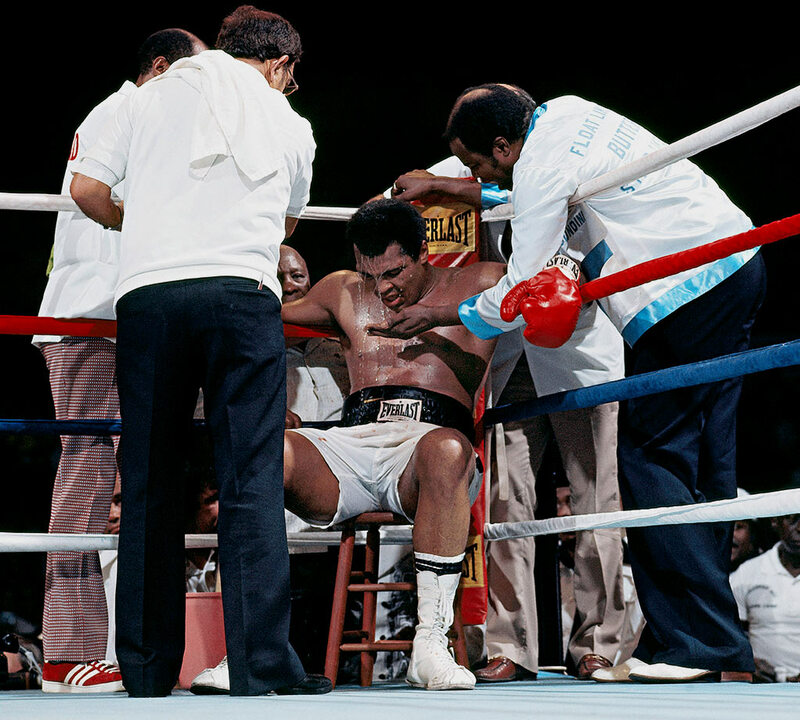 When the word spread across the ring, an exhausted Ali collapsed to the canvas. 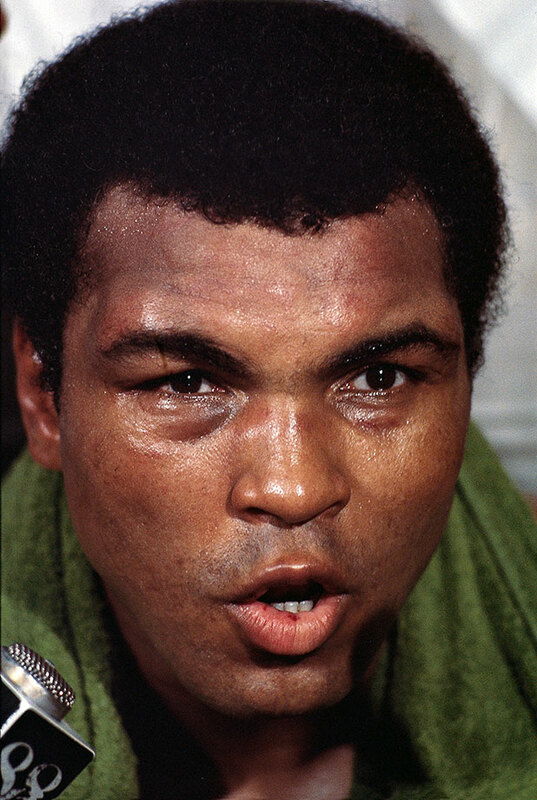 Remarked Ali of the fight, "It was like death. Closest thing to dyin' that I know of." Neither fighter was ever the same again. Futch analyzed the showdown thusly: "Ali fought a smart fight. He conserved his energy, turning it off when he had to. He can afford to do it because of his style. It was mainly a question of anatomy, that is all that separates these two men. Ali is now too big, and when you add those long arms, well ... Joe has to use constant pressure, and that takes its toll on a man's body and soul." The video of the Arizona State sorority girls putting on a selfie clinic is the biggest thing on the web today, but I believe my colleague Brendan Maloy is the only one to actually dig up the selfies in question. Congratulations to Bar Refaeli on getting married in Israel on Thursday. She’s your throwback Lovely Lady of the Day. Traveling 150 miles by yourself in a kayak is hard enough without having to deal with bears destroying your equipment. It’s tough to blame our ursine friend, though. She pepper sprayed him! The woman who captured the video, Mary Maley, said she swam to a boat in the nearby bay, which took her to a town so she could repair her kayak. 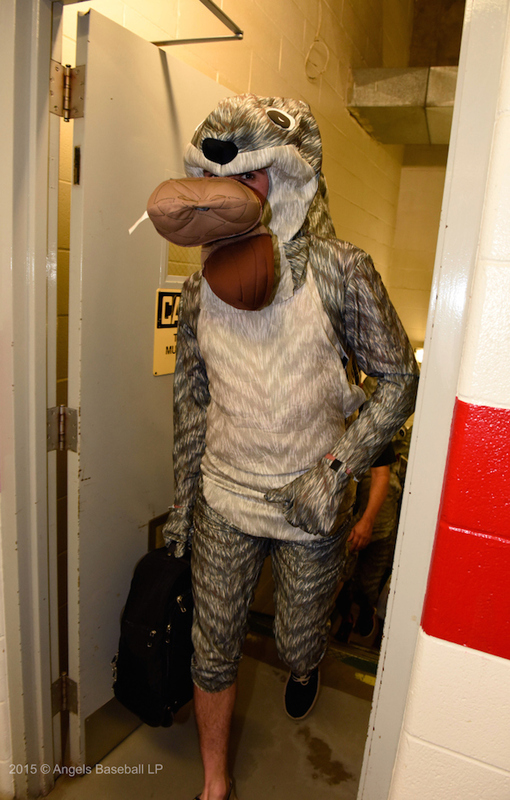 The Mets made their rookies walk through the streets in their underwear and the Astros rookies wore skimpy superhero outfits, but nothing compares to what the Angels had their rookies wear. You can see the rest of the photos here. ESPN’s Tim Keown has a great profile of Raiders owner Mark Davis, which includes horrifying details about his daily P.F. Chang’s routine and a 500-mile trip for a terrible haircut. ... Here’s a gross story about a bag full of vomit on an airplane. ... Honey Boo Boo has a music video because, yeah sure whatever. ... Justin Bieber can’t handle Hennessy. ... John Oliver points out as only he can that a Facebook status is not a legally binding contract. ... This GIF showing how an ACL reconstruction is performed has been going around for the past day or so and is incredibly interesting. ... Nine skeletons found under a Scottish parking lot 40 years ago are of a family of warriors who died 1,500 years ago. If you live on the east coast, you’re probably gonna have a lousy weekend. The potential landfall of Hurricane Joaquin forced Maryland to move up the kickoff time of its game against Michigan. The NFL is also monitoring whether it’ll have to do something about Washington’s game against the Eagles in D.C. on Sunday. Movie supercut purveyors Burger Fiction have put together a brilliant mash-up of 57 characters talking to each other on the phone.